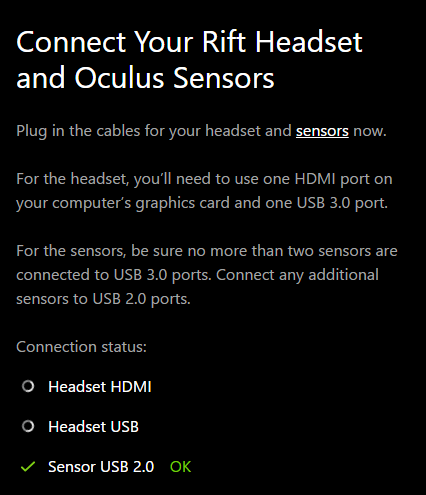 When running full setup, the oculus software does not recognize the headset's HDMI and USB. The tracker's USB works fine. Skipping the "Full Setup" and going into the "Devices" tab under settings, everything is connected fine. Time to try a computer that Oculus recommend ? Or at least take note of what Oculus say about hardware. GT440 ? You might be needing something a little bit better than that !